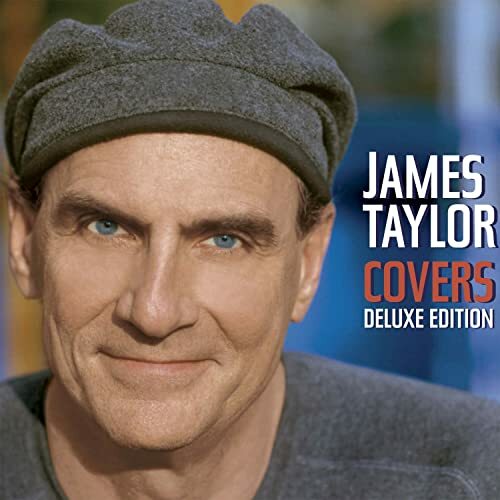 On our trip to Texas, we stopped for coffee somewhere south of Waco and, along with our beverages, we picked up James Taylor’s new CD, Covers, to give us a break from the radio. As I said earlier this week, my life is a movie in search of a soundtrack. A couple of cuts in, I could feel something change inside me as he began to sing, “I am a lineman for the county.” I have loved “Wichita Lineman” since I first heard Glen Campbell sing it on a record my parents had, to when I learned Jimmy Webb wrote it, to when I heard Jimmy Webb sing it, and on down until JT’s soft, well-weathered voice carried the words and music as we drove up that Texas highway last week. Ginger and I talked again today about how our work schedules – OK, mostly mine, since I work five nights a week, and this week, six – keep us from eating dinner together or being able to get out and do much. Maybe the song hits because I feel like the Bull City Line Cook who is still on a line of his own. Most any afternoon, one of us calls the other and says something like, “I just missed you and wanted to say, ‘Hi’.” Even though the phones have nothing to do with lines anymore, I can still hear her heart sing. However the equation of need and want plays out, what I understand almost twenty years on is the tenacity of love is not about hanging on, or hanging in there, but about diligently boring into one another’s beings and determinedly tightening the bonds between us, regardless of schedules and duties and whatever else life may hold. Whether all has been said and done, or there is still much to do and say, we are together. And we have music to play as we go. I posted this, too; thanks! Milton, have enjoyed reading your blogs regarding faith, family and friends…. thanks for telling me about it! and gaze into your eyes”. I have always loved the line you cited from “Gentle on my Mind” but generally screw it up when I try to sing along…. but my favorite is the line about keeping my “sleeping bag rolled up and stashed behind your couch” because it reminds me of doing exactly that at your old apartment following my graduation — I was going to Waco every weekend trying to convince Sherrie to marry me (glad I was persistent and glad she said yes, and we celebrated our 30th this past May). I didn’t really keep it behind the couch, but in the closet! It’s great traveling “down the back roads by the rivers of my memory” because some thoughts and feeling are forever “gentle on my mind”. Well that above friend is totally kickass. I was just going to say that Ginger married you because you worship her like a goddess, and that’s why I had to have Holmage,too.